Rose is one of the most popular flowering garden plants worldwide. The texture and fullness of the flower is unique. Rose is the only flower that has such a wide range of sizes, colors, shapes and bloom forms. Cultivating rose plants is not an easy task; it requires a lot time, effort and attention. The plants require six to eight hours of sunshine everyday, and most varieties do not do well in cold climates. The hybrid tea rose is the most classic and showy flower among all the rose varieties. A number of varieties of roses have been bred from this variety. The plant is between 4 and 6 feet tall with very few leaves. The fragrant flowers appear in singles and bloom on the long stem. Depending on the variety, there are different colors of flowers in this type. 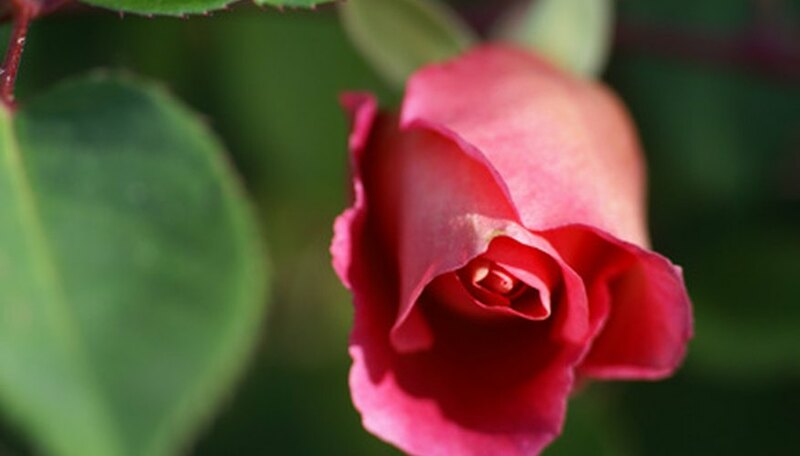 Hybrid tea rose requires adequate sunlight and well-drained, fertile soil. The plant should be fed with rose food three times in a season and needs be protected against cold. Hybrid tea can be grown in beds, borders and containers. Floribunda is a cross between hybrid tea and polyantha rose shrubs, possessing combined qualities of both that include hardiness and fragrant flowers. Blooms of the floribunda rose are produced in clusters by the plant. The size of the plant varies from low growing to 6 feet. The leaves are resistant to insect attacks and hence the plant needs very little maintenance. Blooms are produced by this variety almost continuously. Floribunda needs sunlight and can be planted in containers, beds, borders and slopes. Being a hybrid between hybrid tea and floribunda, it combines the best characteristics of both. Grandiflora rose has excellent bloom on a high stem-like hybrid tea. It also has characteristics like continuous blooms in clusters, hardiness and resistance to diseases typical of the floribunda. This type was created along with a unique variety called Queen Elizabeth. Grandiflora grows up to 6 feet tall and needs good sunshine and well-drained, fertile soil. It can be grown in containers, beds and borders. Climber rose is a climbing variety, reaching 6 and 10 feet in length. Climber rose spreads over fences, pillars and hedges through well-developed canes. It is a hybrid developed from bush varieties of roses. Climber rose blooms a large single flower or clusters of flowers. Blooms occur during seasons or continuously depending on the variety. This particular rose requires adequate sunlight and well-drained, fertile soil. It can be grown in containers, near fences, beds and borders. The miniature rose is ideal for indoor and outdoor spaces. It is especially suited for gardens with small spaces. It looks like a small hybrid tea or floribunda type of rose bush. Being delicate, miniature rose needs protection against cold during winter. This variety of rose bush needs good sunshine, fertile soil, good watering and fertilizing. It can be grown in containers, beds and borders.